SoundSoap Solo by Antares Audio Technologies is . Windows 7, 8, 10. 1GHz or faster processor with SSE. Mac OS 10.9 or later. 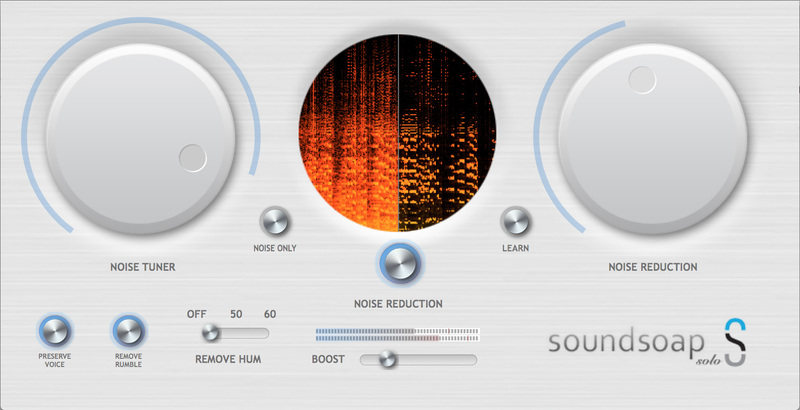 SoundSoap Solo makes it simple to fix audio problems in your projects for impressive sound quality. This affordable, easy-to-use desktop app brings several SoundSoap audio restoration technologies to your projects. Bring back to life unusable footage or record new media files right inside the app, with no loss of video quality. SoundSoap Solo is the perfect companion for making sure media projects sound great. With just a few simple controls, anyone can remove unwanted hiss, room noise, rumble, electrical hum, low volume, and other noise problems from almost any digital media file — including digital video (DV), digital audio workstation tracks, analog cassette/tape recordings, vinyl LP recordings, and more. SoundSoap is a must-have for easily cleaning up audio before you share it. Automatic noise detection* - SoundSoap Solo analyzes media files automagically and will try to find the best location for learning noise. SoundSoap Solo then automatically learns noise at this location rather than using a default, flat noise profile. Set noise location* on the waveform display in the Media Window - move the vertical red indicator to learn noise at a new location in the media file. Waveform display for video* - now you can toggle a view between video and the audio waveform display. Enhanced media controls* - return to start, backward, and forward key commands. Full Bypass* - the Power button on Media Window now bypasses all SoundSoap Solo processing for true A/B comparing. Amazing results are just a click away — SoundSoap Solo's user interface is designed to be simple and focused, making it easy enough for anyone to use. 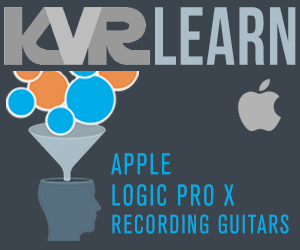 A single click of the Learn Noise button solves most simple noise problems, and a few extra clicks offer powerful fine–tuning, for even better sounding audio. Simply drag in your video clips from iPhoto or another media application into the SoundSoap application. Cleaning audio is with SoundSoap Solo is simple - the Wash Window shows the sound "before" and "after" cleaning. A Loudness Maximizer boosts the volume of your audio tracks without introducing distortion. Share your spectacular results directly to Facebook, AirDrop, over email, and more. SoundSoap Solo also saves WAVE and AIFF files in 24-bit format for pristine audio quality (Mac). SoundSoap Solo includes a large parameter value display and a waveform display now shows the audio material when working with audio-only media sources. Any way you choose to use it, SoundSoap Solo's advanced audio restoration technology does the hard work for you, and gives crisp, pro–quality results in just seconds. SoundSoap Solo's technology isn't the only amazing thing — the price is too.